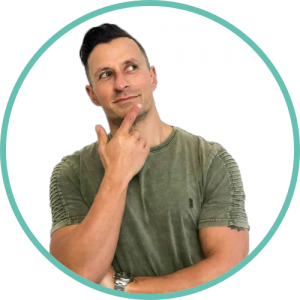 I spoke with Steve Glaveski, Author and CEO, about being an entrepreneur; something in which it’s safe to say he’s an expert. 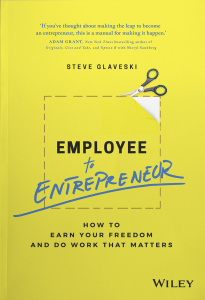 He made the leap from a comfortable, corporate environment to a start-up of his own about seven years ago and he has no regrets.Lots of people dreaming of doing the same have asked Steve how it’s done, which inspired him to write his book, Employee to Entrepreneur, available now. What are the best ways to learn what works and what doesn’t work? The answer is to try your ideas. Steve has some practical suggestions on how to set up test situations which will give you valuable information fast. You can take it and run with it. Being an entrepreneur is hard work but managing your productivity is important. Repetitive, formulaic tasks can and should be outsourced. Spend your time doing high-value tasks that will take the business forward. See links below for more details. You’ve got the dream and you’re ready to make a change but some people don’t deal with risk very well—their brains just aren’t programmed for it—so what are the choices if it turns out entrepreneurship isn’t your best option in changing career? Steve’s book has an entire chapter on alternatives to entrepreneurship for when breaking out on your own might not be the best route to take. To read Steve’s article on the 6-hour work day click here. Whether this is the first episode you've come across, or if you've listened to all 92, I would love to hear your feedback. Reviews on iTunes are hugely important to the success of the show, so I would be incredibly grateful if you were able to spare a minute to leave some honest feedback there. Thanks so much if you are able to help. Click here to leave a review.